In his 2011 decision in the case of Mackrides v. Marshalls, Marmaxx Operating Corp., No. 11-Civil-6540 (E.D. Pa. April 23, 2013, Joyner, J. ), Judge J. Curtis Joyner addressed Medicare issues with regards to a settlement of a slip and fall personal injury suit. In this decision, the Court addressed a Plaintiff’s Motion to Enforce a Settlement. The Court ruled that the motion would be denied. In the Opinion, the Court noted that, although the Defendant’s failure to tender a proposed Release or settlement, was dilatory, unreasonable, and bordering on being deemed worthy of sanctions, the motion to enforce the settlement was denied where questions about the settlement terms remained unresolved, including questions pertaining to whether the settlement figure included funds to reimburse Medicare, whether Medicare made payments subject to reimbursement, and whether Medicare had waived any right to reimbursement. Anyone wishing to review this Mackrides Opinion may click this LINK. The older Northampton County Court of Common Pleas decision from back in 2011 in the case of Furman v. Wildermuth, No. C-0048-CV-2008-3556 (C.P. Northampton Co. July 12, 2011 Dally, J. ), is another example of a trial court decision holding that a settlement of a personal injury may not be conditioned upon receipt of a final conditional payment letter from Medicare. That Court relied upon the Pennsylvania Superior Court decision in Zaleppa v. Siewel, 9 A.3d 632 (Pa. 2010). The Furman decision can be viewed HERE. Source: “Court Summaries,” Pennsylvania Bar News (May, 2013) by Timothy L. Clawges. 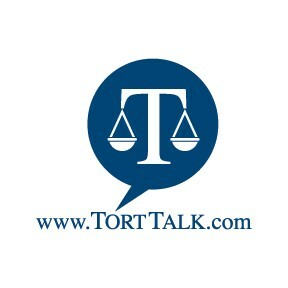 Click HERE to view other Tort Talk posts on Medicare issues, including with respect to settlements of personal injury matters.